Global industrial production is still improving, playing catch-up to demand. This is supportive for commodities and emerging markets. Having some synchronised global growth is driving demand in most developed markets and is flowing through to emerging markets. The cycle will be choppy as central banks try to manage inflation expectations. Global markets have been at the mercy of central banks of late. The impact of the central banks comments and actions are followed like hawks as the interest rate cycle starts to turn in some developed markets, notably the United States. Inflation is not evolving as expected, with US unemployment at a record low, one would expect to see more pressure on wages but it seems that the US had some structural changes keeping wage inflation under control. 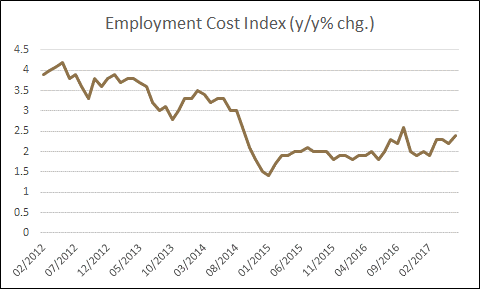 The US Employment Cost Index has been hovering between 2% and 2.5% from early 2015, while the US U-3 unemployment rate is close to levels last seen after the IT bubble in the early 2000’s. Another serious driver of the markets currently is the unwinding of the “Trump Utopia” as the Trump administration struggles to prove their ability to implement the policies promised during their campaign. The unwind has caused the dollar to sell off to levels pre-the Trump victory as the hype for growth assets in the US soften. The softer dollar may cause some import inflation, but recent comments from the FED points to a cautious stance and we expect the FED to pause on increases in the FED rate until the first quarter of 2018. We expect that the FED will start to slowly reduce its balance sheet by reducing asset rollovers. Growth in the US moderated in the second quarter slightly but most leading indicators still point to reasonably good growth. 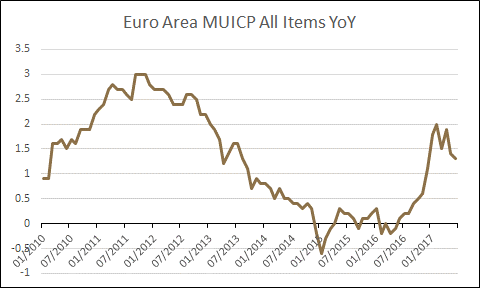 European growth has been performing well with inflation under control. The fear of stagflation in the EU has died down and optimism that the EU will be maintain a moderate level of inflation looks promising. The graph below plots the Euro Area inflation. The OECD leading indicator points to an improving GDP number which should hover around 1.8% to 2% over the medium-term. Japan has been struggling to re-ignite inflation despite the huge monetary policy interventions over the past couple of years. The hope is that the growth evolving in the US and Europe will spur Asian growth, notably China, which will flow through to Japan. Japanese real GDP has been hovering around 0.5% year on year with the OECD leading indicator pointing to some improvement. 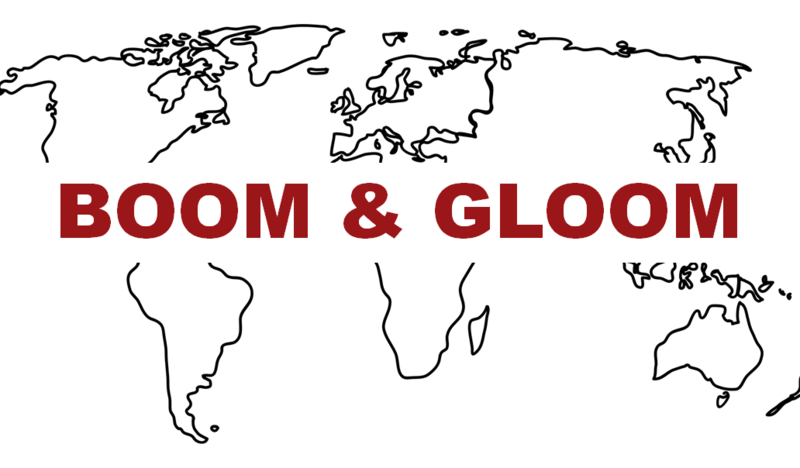 We expect that Japanese growth will lag the globe by a year or so. Very little has changed around geo-political risk over the past quarter. Sensitivity around the South China Sea, North Korea, Syria, Ukraine and Brexit. As the US inflation momentum hovers along, the risk that the Fed will hike too aggressively is high. Combine this with the slow unwind of the Fed balance sheet, this could cause some stress. Open interest on US 10 year bond futures is still very high which can cause volatility as the monetary policy evolves. Emerging market valuations are still more attractive on a relative basis compared to developed markets. On a regional basis Japan is cheap, Europe is fairly priced and the US is expensive relative to peers. Asia ex Japan is also priced attractively. We calculated the expected one-year index total return for the regions purely on valuation, by assuming the index PE rating will mean-revert and using consensus earnings and dividend expectations. Little has changed in our market view over the past quarter. We prefer equity exposure to higher growth regions like Asia and Europe. We also maintain some exposure to Japanese equity on the back of further recovery and pricing. We retain some US equity exposure as a hedge against Trump policy, we see the US large cap market as expensive. 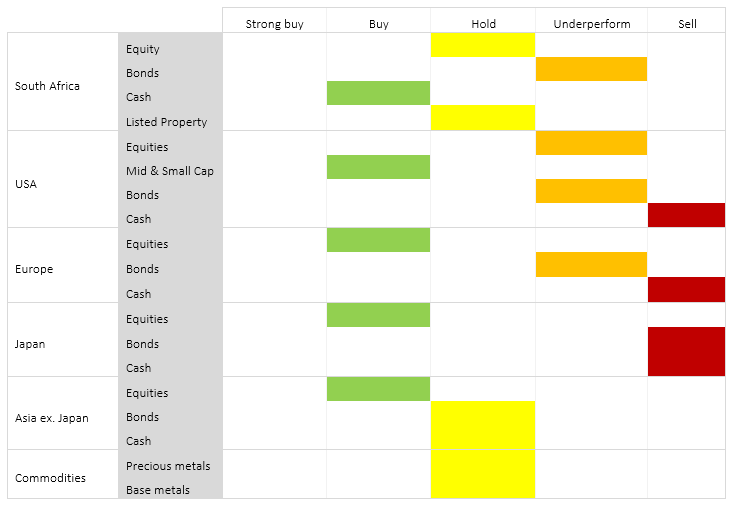 We retain a hold position for South African equities. Developed market bonds are expensive and we expect further sell off as inflation normalises and short-term interest rates move up. Domestic bonds are risky, especially the sovereign and SOE credit. We retain our underweight position. 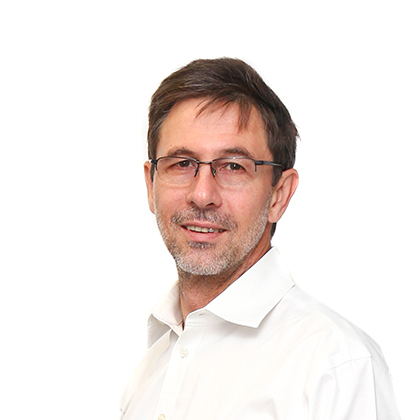 Domestic property is fairly valued with some down-side risk as the South African consumer is under severe pressure. We shifted our exposure to neutral from overweight.